Are you confused by all the heating & cooling products available for your Denver home? Don’t worry, we’ll provide you with the information you need to make the right decision for your situation. If you are having trouble with an aging HVAC system in your Denver, North Carolina home, you may be holding off because the idea of wading through the hundreds of heating & cooling products feels a bit daunting. Have no fear because, at Cool Comfort Heating & Air, we have the experience you need to help you make this important decision. A new system is a large investment into your home, so you need all the facts in front of you to make the best decision. That is where we come in. We have been providing service in the Denver area for over 20 years, and our owner was in the industry 15 years before starting the company. That is a lot of experience with heating & cooling products, so we are confident we can give you valuable information about maintenance costs, longevity, efficiency, and more. 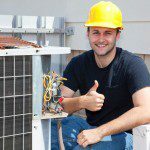 In addition to installing heating & cooling products, we also perform the maintenance they need to run the most efficiently and experience the longest life. We also repair all brands of equipment. Our trucks are kept well-stocked with the most common parts, so we can usually complete a repair with just one visit. Experience is important for a number of reasons. First, it allows for quick diagnostics, which saves you on labor costs. Second, we don’t make mistakes that end up costing you money, such as paying for one part when another was actually to blame. Our superior repair services can keep units functioning as long as possible, but we’ll also provide you with a repair versus replacement analysis, so you can make the best choice in this type of situation. If you have any questions about heating & cooling products or our services, give us call, and we’ll give you the honest advice you need.